The state of Rhode Island approved an interest payment on $75 million in bonds related to the 38 Studios debt, but there are still hurdles to clear. 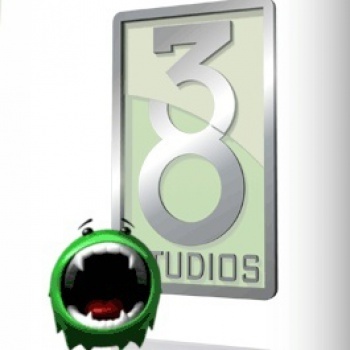 The collapse of 38 Studios left tiny Rhode Island in a tough spot, with a debt of well over $100 million thanks to the loan guarantees that brought the ill-fated game developer to the state from Massachusetts. There was actually talk last month that the state could throw its hands in the air and default on the debt, which would be bad for its credit rating but save it several truckloads of cash, but now it appears that the state will honor its debt, although it's possible that legislative shenanigans could throw a wrench into the plan. Included in the budget passed by Rhode Island's House Finance Committee last night is an interest payment on $75 million in bonds that were sold in order to finance the 38 Studios loan. That's obviously not something that would happen if the state intended to default, but it's not necessarily the end of the tale, either. The budget, including the interest payment, must still pass the House and then be approved by the Senate, and it only covers this year's payment; successive payments must pass the same annual approval process. State administrator Richard Licht warned Democractic lawmakers against defaulting on the debt prior to the passage of the budget, saying that the impact on the state's credit rating would drive up the cost of borrowing at a time when Rhode Island is already struggling with high unemployment and financial shortfalls. "This isn't about 38 Studios," he said. "It's about protecting our reputation." Kingdoms of Amalur: Reckoning, the only game 38 Studios ever released and which is now owned by Rhode Island, recently earned the state $713,000 via Steam sales, less than one percent of the total money owed.